Reassurance shield after the 142 junction. 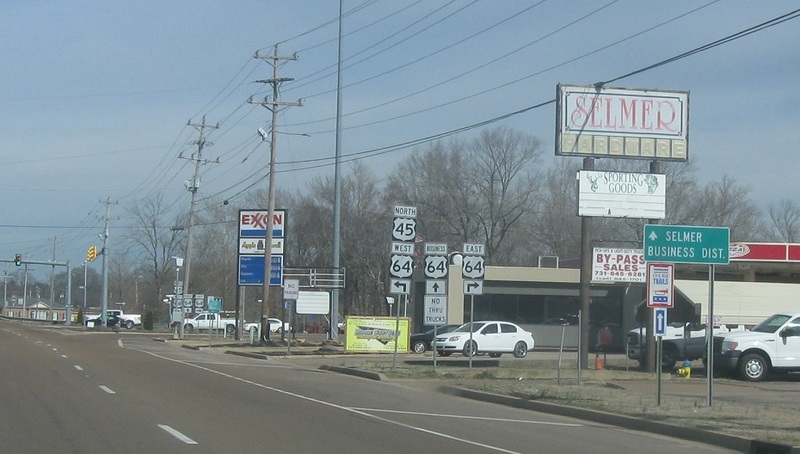 As we get closer into Selmer, we’re advised that through trucks need to use the US-45/US-64 bypass around town. 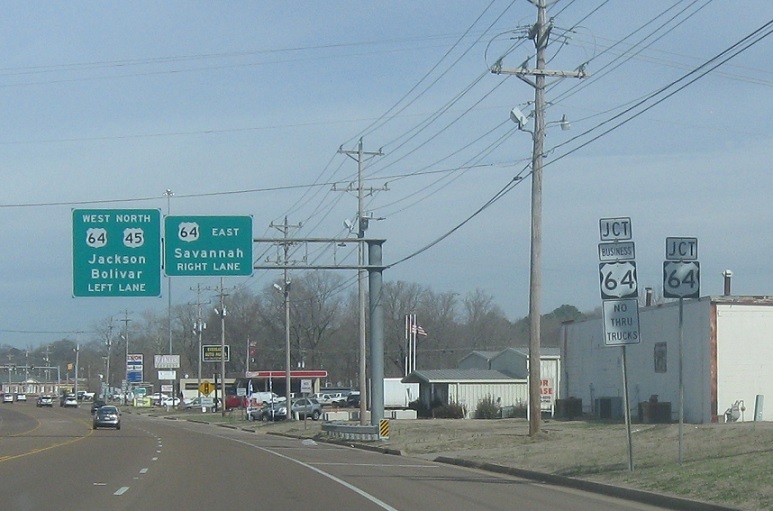 At the light ahead, we’ll approach US-64 and its business loop. Keep right for US-64 east. 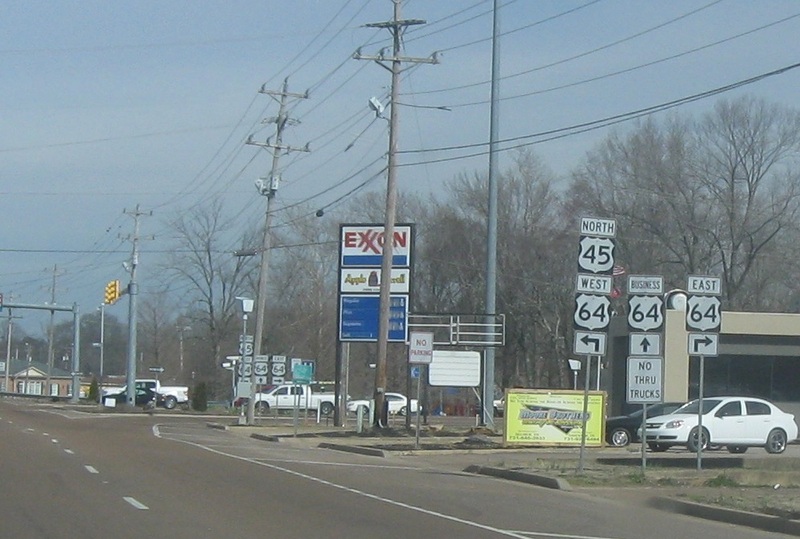 64 west joins 45 north around the west side of town. 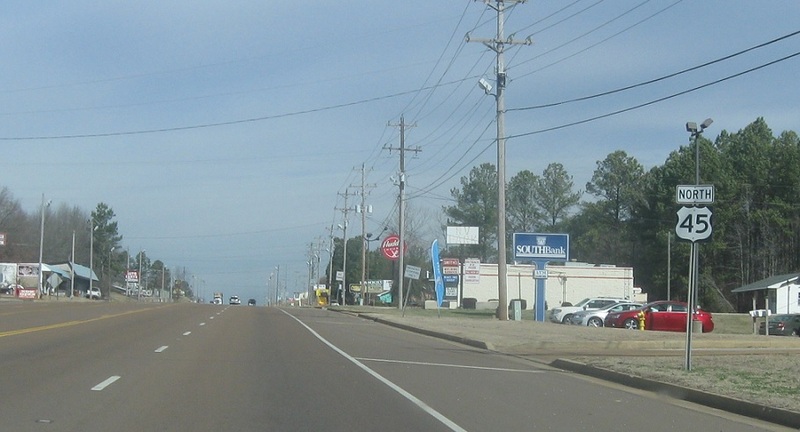 Stay straight for 64 Business into downtown Selmer. 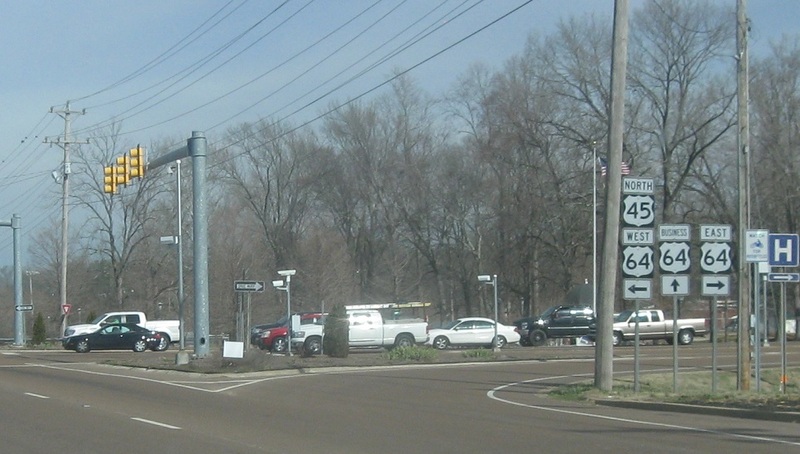 Turn left for 45 north/64 west. 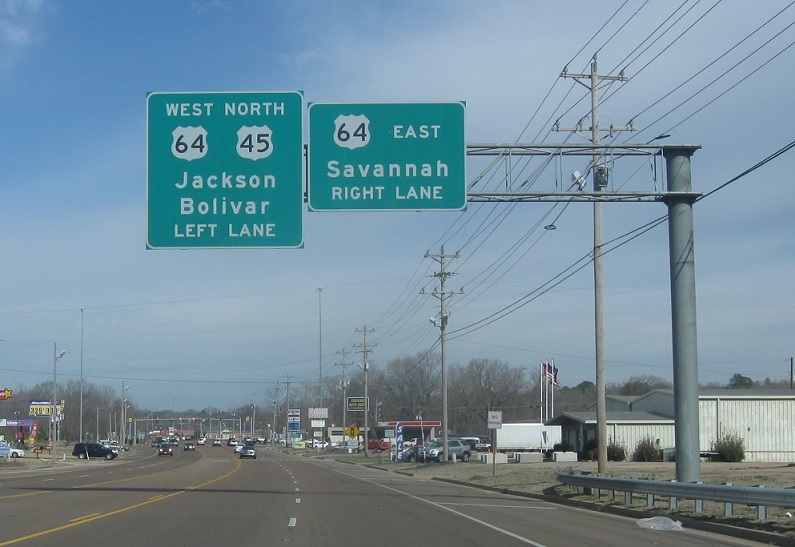 Turn right for 64 east. Stay straight for 64 Business west. 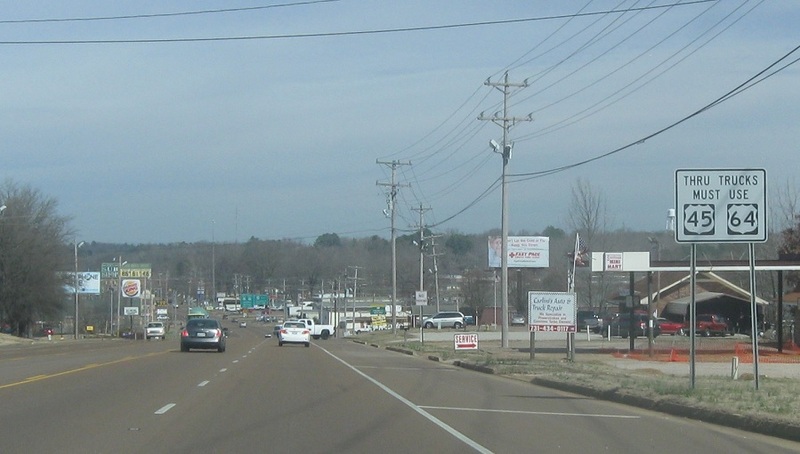 In terms of the unsigned state routes, Tennessee 15 east turns right here as a primary highway, Tennessee 15 west stays straight with the business loop, and Tennessee 5 carries the bypass route. 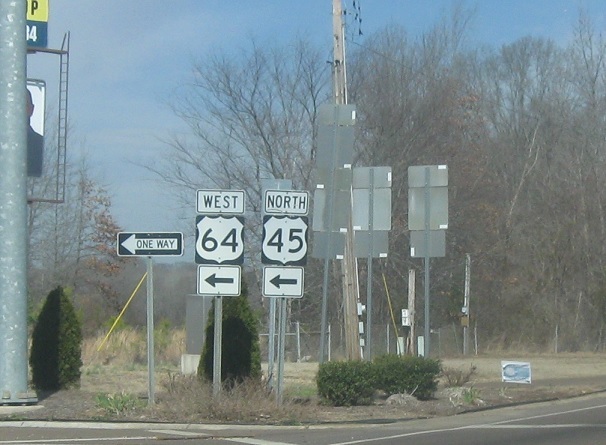 Turn left for 45 north/64 west/TN-5 north.